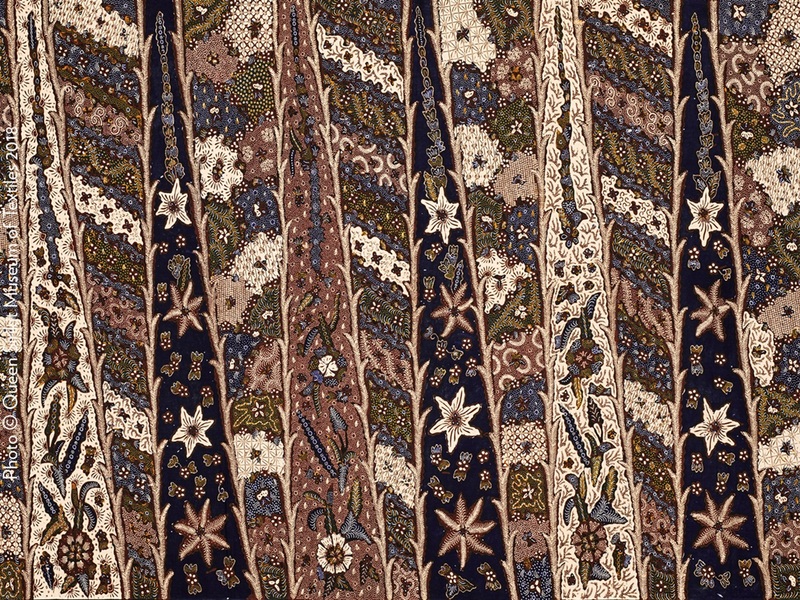 A striking batik pattern from Yogyakarta inspired by the beauty of Her Majesty Queen Sirikit and named in her honor. It was created in commemoration of Their Majesties’ state visit to Indonesia in February 1960. This example was presented to the QSMT by Dr. Ir. Larasati S. Suleiman on behalf of the Sekar Jaged Batik Association of Yogyakarta.